The behavior of voting for a party in an election has important social implications, yet, due to strong mentalistic influences in electoral research, it has rarely been studied from the behavior analytical perspective. In this article a behavioral analysis of voting is presented and a derived behavioral model is empirically tested on data from a Dutch election survey. It is concluded that such an analysis is both theoretically fruitful and empirically relevant. 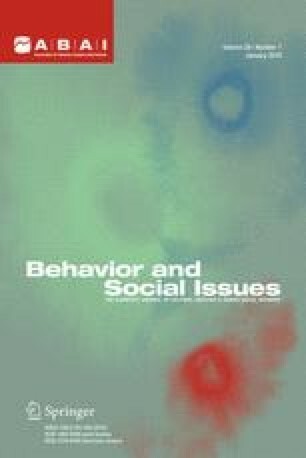 The author would like to thank Jacques Thomassen, Kees Aarts, and Marius Rietdijk (University of Twente), and the editor and anonymous reviewers of Behavior and Social Issues for their valuable comments on earlier drafts of this paper. Partial financial support for this reseach from the Netherlands Organization for the Advancement of Research (NWO) is gratefully acknowledged (Grant No. 430-214-032).